Look at this incompetence by ECZ or is it collusion with PF? 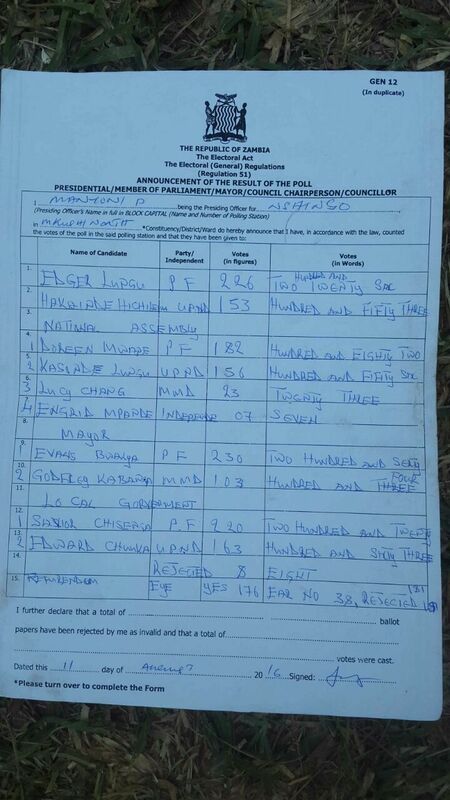 All the results for this polling station namely Presidential, Parliamentary, Council Chairperson, and Referendum were illegally recorded on one GEN 12 declaration form. Even worse they even indicate some rejected ballot papers here. So one may ask, are these rejected ballot papers for Presidential, Parliamentary, Council Chairperson, or Referendum? And you wonder why PF did not want to hear the UPND petition! In normal country even this alone can lead to election nullification. But this is Zambia.